Castor oil has been known and loved for centuries. In Egypt, it was used to facilitate the transport of blocks by their lubrication. Whereas, in the Middle Ages it was used mainly due to its purgative and healing properties. Later on, women discovered that it is also a great beauty product. 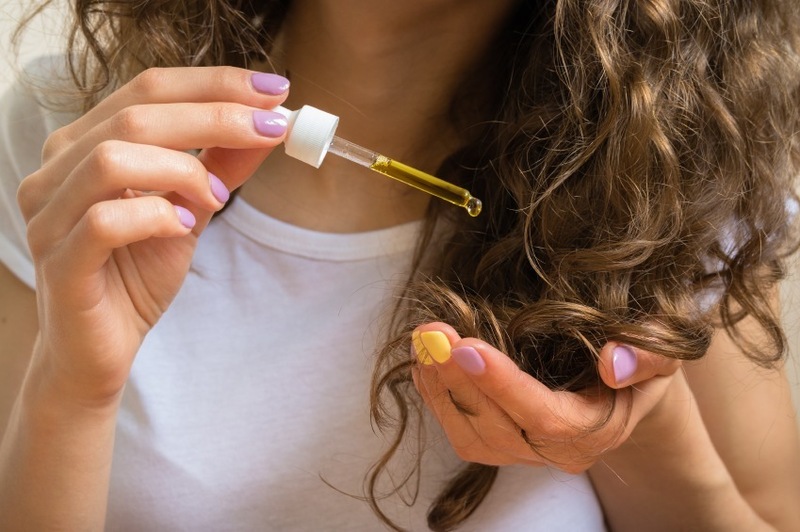 Today, castor oil mostly used in homemade hair care products. Why? All properties of castor oil when it comes to hair care, are beneficial. No wonder that women are so willing to apply it on the hair, scalp, eyebrows and even eyelashes. This oil improves blood circulation and thanks to this, provides its better supply to hair follicles. Consequently, it makes the hair look and feel more nourished. It all has tremendous effects on the stimulation of hair growth, and due to the high concentration of omega- 6 fatty acids, your strands are clearly healthier and stronger. An additional property of castor oil is that is has the ability to darken your hair. Preferably, castor oil is used in the treatment of the problem with fragile and falling out hair. It also works well in restoring the condition of the hair before the hair loss, caused by, for example, diseases. The use of castor oil on the scalp can be conducted in a wide variety of ways. Some people simply rub it directly on the scalp. Because of its density, it is not so much recommended to use on the entire length of the hair too heavily. It might bring the opposite effect than to what we desire, such as weighting the hair down ofr drying. After all, the most recommended form of hair treatment are homemade hair masks based on castor oil. Below you can read a reliable recipe to quickly restore the condition of your hair and scalp. a few drops of vitamin E (optionally). Two or three tablespoons of the base oil of your preference mix with the egg yolk and castor oil. Blend it well. Optionally you can add a few drops of vitamin E (available in every pharmacy). It will improve blood circulation and nutrition of hair follicles, and thus also promote hair growth. Freshly made vitamin-oil mixture apply to your scalp. Rub it gently in circular motions and lightly applying it to the rest of your hair. At least an hour is recommended to keep it on your hair (even up to five hours). After the desired time wash your hair thoroughly with a gentle shampoo.